How to download your Lean Canvas for printing or to include it in a presentation. 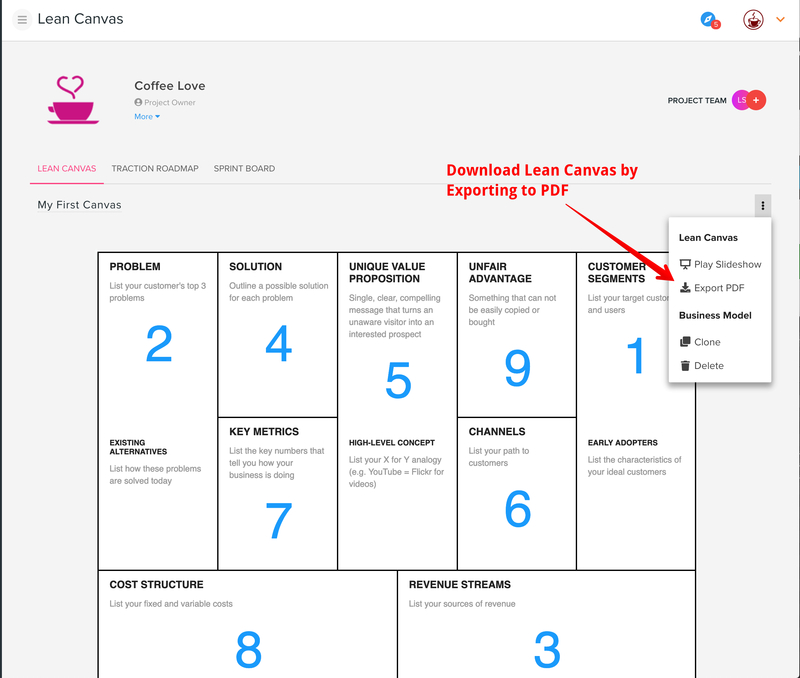 Once you're done with your Lean Canvas, you can download it to your computer by choosing "Export PDF" from the action menu on the right. Once downloaded, you can print or include it in another document for presentation purposes.